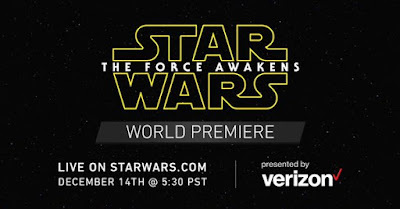 Lucasfilm announced today that they will be live streaming the red carpet for the World Premiere of Star Wars: The Force Awakens on December 14th on StarWars.com! The event will begin at 5:30pm PT/8:30pm ET. Visit StarWars.com at 5:30 p.m. PT (8:30 p.m. 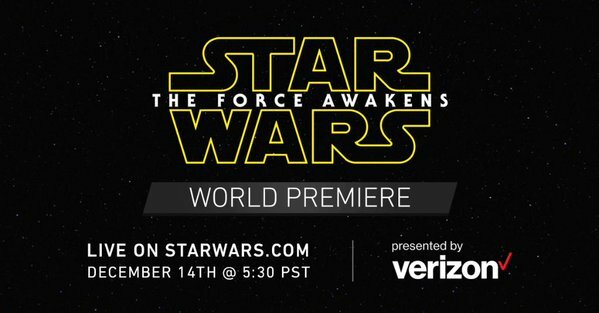 ET) on 12/14 for in-depth interviews with the cast and creators of Star Wars: The Force Awakens, live from the world premiere in Los Angeles. Hosts Andi Gutierrez, Anthony Carboni, and Dave Collins will be reporting on all the action, talking to stars and fans on a day that will be long remembered. I hope star wars the force awakens will get record.